Sandelin’s first film, Box Full of Rocks, spilled over into Ticket to Write, the Grossmont professor’s latest documentary on rock journalism. A longtime professor at Grossmont College, Raul Sandelin made his film debut with 2013’s A Box Full of Rocks, studying the legendary rock critic Lester Bangs and his formative years in El Cajon. 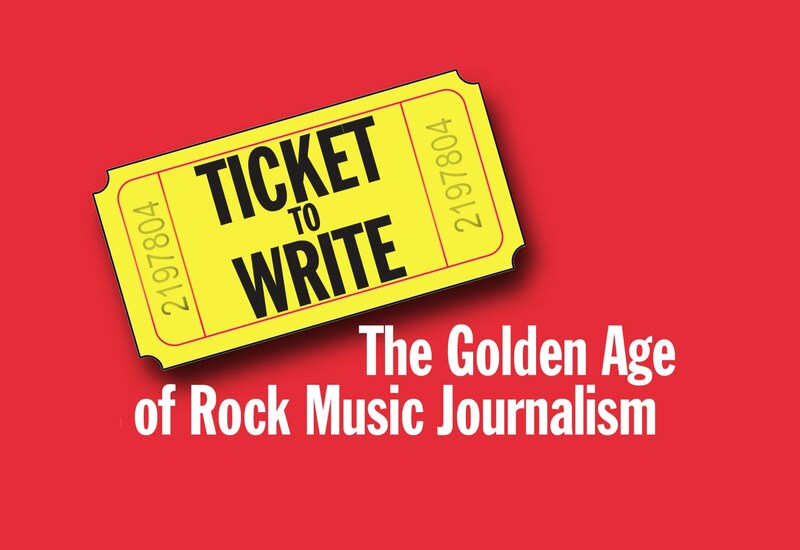 For his new film, Ticket to Write, he’s expanded his scope to the early history of rock criticism as a whole, interviewing critics from around the country, including Robert Christgau of the Village Voice, Ben Fong-Torres from Rolling Stone, former Reader contributor Richard Meltzer, and Jaan Uhelszki, cofounder of Creem. Sandelin took questions over email. How did the inspiration for Ticket To Write come about? We knew we had to make another film about rock music journalism and criticism. It was such an untapped niche within the greater world of rock ’n’ roll. The material was just too rich not to do another film. Did you start with the idea of telling a definite story, or did the overall shape of the film come later? I’ve always loved print media. My mom was a librarian. Even though I grew up in the “TV generation,” I always belonged to an earlier time. So, the big struggle to emerge in the film is print journalism (magazines, etc.) versus the Video Age, most specifically MTV. As TV, then cable TV, then niche TV — like MTV — took over youth culture, the music magazines were pushed to the wayside. We’ve subtitled Ticket to Write “The Golden Age of Rock Music Journalism” because there was a definite historical sweet spot: 1966–’81. During these 15 years, the rock magazines ruled youth culture. But, all of this changed in the ’80s with the Video Age. That’s our conflict, our tension, therefore — our story. Which interview subjects live in or near San Diego? Cindy Lee Berryhill, Crawdaddy! founder Paul Williams’s widow, is a San Diego musician. San Diegan Gabriel Wisdom narrates the film. Gabe is an early FM radio DJ since the 1960s. (He’s now a financial analyst.) Gabe was a consultant on Cameron Crowe’s Almost Famous. He helped Cameron design the San Diego radio station that Lester Bangs (Philip Seymour Hoffman) visits in the movie. Please describe your collaborators on the film. We have a small co-op of talented friends who help with all of our films. We all come from El Cajon, and some were even old high school friends with Lester Bangs. 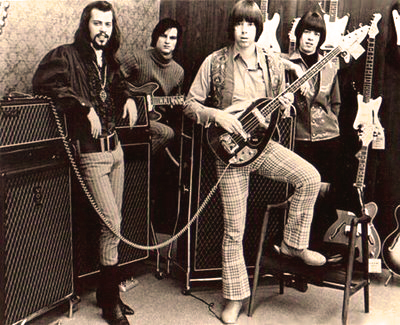 Tony Butler, Jack Butler, Beat Farmer Jerry Raney, Skid Roper, Rob Houghton, designer Len Torres. These are the people who form our “filmmaking commune.” And, for the most part, we all come from San Diego’s East County. Then, there is Edward Turner and his company Road Ahead Productions in Birmingham, Alabama. Ed is executive producer and he funded the film. Ed will never get enough credit for pulling this whole project together. What were the biggest surprises while making the film? The biggest surprise was finding out, six months in, that half of the rock journalists interviewed didn’t like our proposed name of the film. Originally, we wanted to call the film The Rock Bards. But, as time went on, we got little hints that some of the interviewees hated the title. Some liked it. But, some hated it. We even had a trailer on YouTube with the Rock Bards name. So, we had to do a rapid about-face. We tried to talk to as many people (especially the rock journalists) as we could, trying to find a satisfactory, consensus-building title. Finally, Ben Fong-Torres stepped in and offered up Ticket to Write. It was perfect! In one miraculous moment, the problem was solved. What’s in the future for the film? We hope to find distribution soon. In the meantime, we’re going on the screening/film festival circuit. Neil Norman, son of [GNP Crescendo label founder] Gene Norman, and the producer of the new Seeds documentary Pushin’ Too Hard, has given us a lot of advice. He’s doing the same thing with Pushin’ Too Hard. He’s taking it to art-house theaters around the country and getting prominent Seeds fans to help lead the charge. We’re going to do the same thing: screen the film in L.A., San Francisco, Detroit, New York...and let the local rock journalists help bring out the local audiences. We have a strong, national network. In fact, we want to do a co-screening of Neil’s Seeds doc and Ticket to Write this summer in San Diego, perhaps at Digital Gym or the Ken Cinema. Then, as I said, we’ll probably screen Ticket to Write at Grossmont College before hitting the road. We’ll also spend the summer weighing our future options...a follow-up film about the rock photographers? A film about Dr. Candace Pert’s neuropeptides? About the month in 1929 when famed Hollywood director Frank Capra came to El Cajon to film a war romance titled Flight...?